Swoon in style with this 100% cotton t-shirt featuring our S.W.O.O.N. stamp on the front and The Swoon Society logo on the back. Comfortable enough to lounge in while sipping a cocktail or a glass of wine, yet stylish enough to wear out into society, this shirt will get your stamp of approval. We use this sturdy canvas tote to carry groceries, books and magazines, and other Stuff Worthy Of Our Notice. 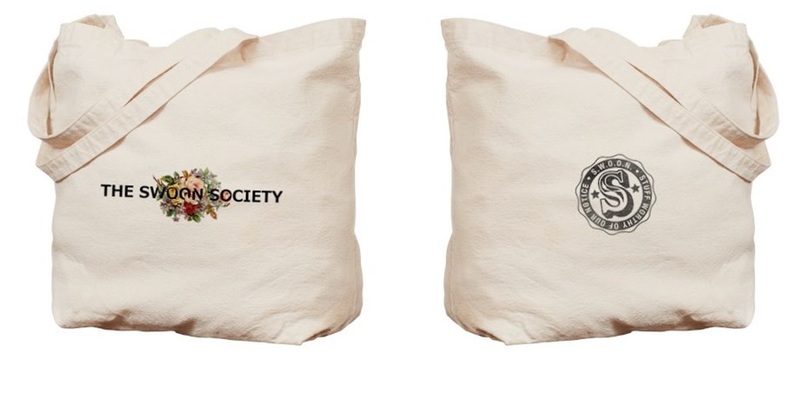 Endorsing our Society while doing your part for the environment is positively swoon-worthy, so bag this tote! 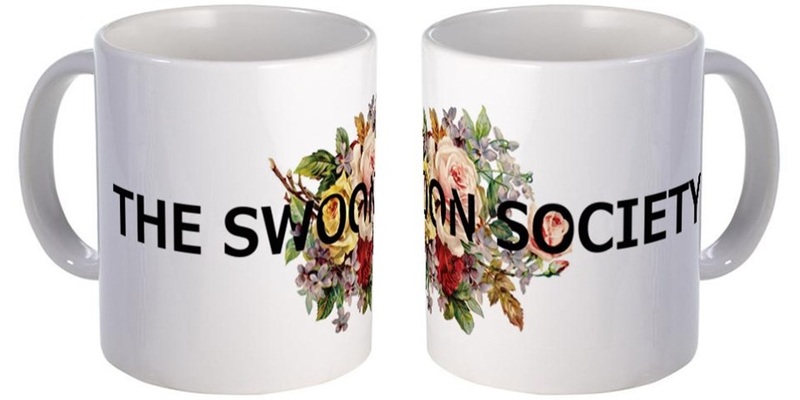 Swoon over your morning coffee or afternoon tea with this white ceramic mug displaying The Swoon Society logo. Our signature bouquet of flowers will remind you to stop and smell the roses…and the hot chocolate. 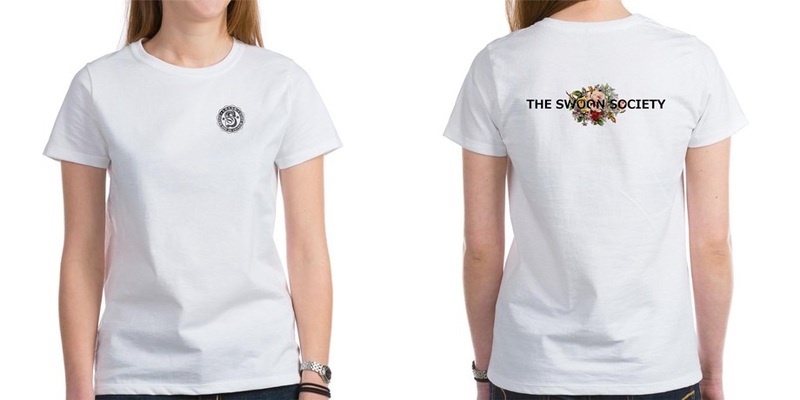 Wear your membership in The Swoon Society on your sleeve—or on a purse or tote bag—and proudly tell the world that you are an agent of S.W.O.O.N. This marvel-ous button will add flair to any outfit, so be sure to pin one down. Click here to visit The Swoon Society S.H.O.P.